Darren Weir says it takes a decent horse to be a three-time Group One winner. 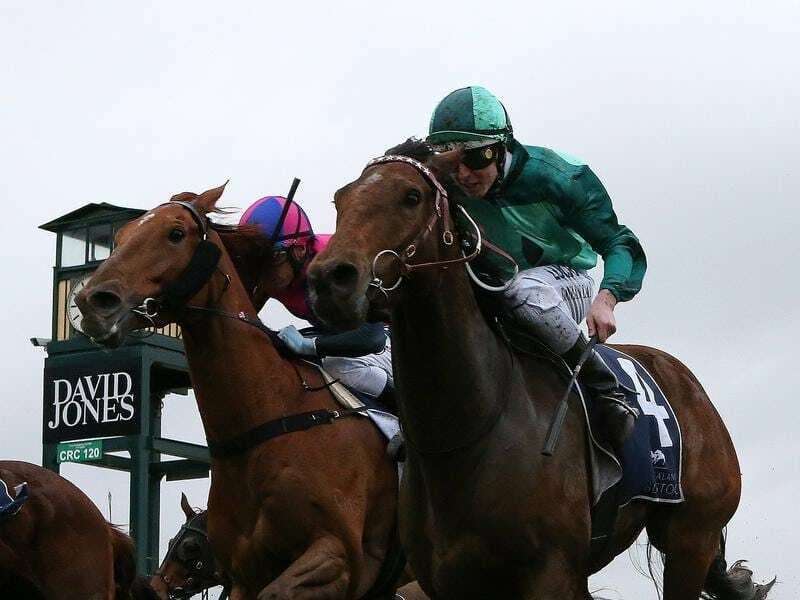 Humidor joined those ranks on Saturday taking out the Memsie Stakes at Caulfield to go with previous Group One victories in the Makybe Diva Stakes and Australian Cup. The gelding also pushed Winx in last year’s Cox Plate with Weir planning another assault, although he said the Emirates Stakes on the final day of Melbourne Cup week was a better option. “I don’t think he’s going any better than last year but he’s racing better,” Weir said. “He had the absolute perfect run in the Cox Plate last year and couldn’t beat her so I can’t see how he’s going to beat her this year and I think the goal is the Emirates, the race Tosen Stardom won last year. The victory was Weir’s fifth for the day following on from High Church, dead-heaters Mrs Gardenia and Bellaria, Night Watch and Native Soldier. Giving Damien Lane his fourth win of the afternoon, Humidor ($21) scored a short-head win over over Kementari ($5) with Humidor’s stablemate Kings Will Dream ($14) a half-head away third. A track gallop at Ararat on Tuesday had Weir thinking Humidor was progressing well following a glowing report from John Allen who had also partnered Kings Will Dream. “I thought he’d made the right progression,” Weir said. “We rely on Johnny, he’s our main gallop rider, and he galloped him on Tuesday and said he’s on track. “He also rode Kings Will Dream that morning so it was a good morning of work at Ararat. Lane described Humidor as a little weapon saying he had come a long way over the past couple of years. He said he gave Humidor a dig coming out of the barriers which he felt might have been a mistake. “But when he started quickening up underneath them on the corner I knew he was going to play a big part,” Lane said. Glyn Schofield, who rode Kementari said it was a super effort after covering ground while Damien Oliver aboard the $2.50 favourite, fourth-placed Vega Magic, said rain took away some of his sprinting edge.